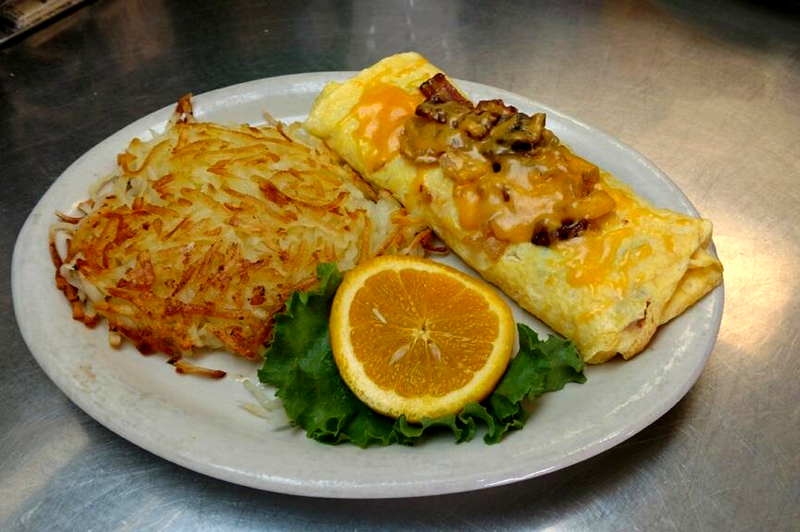 Breakfast Specials 7:00 - 10:30am Monday-Friday! 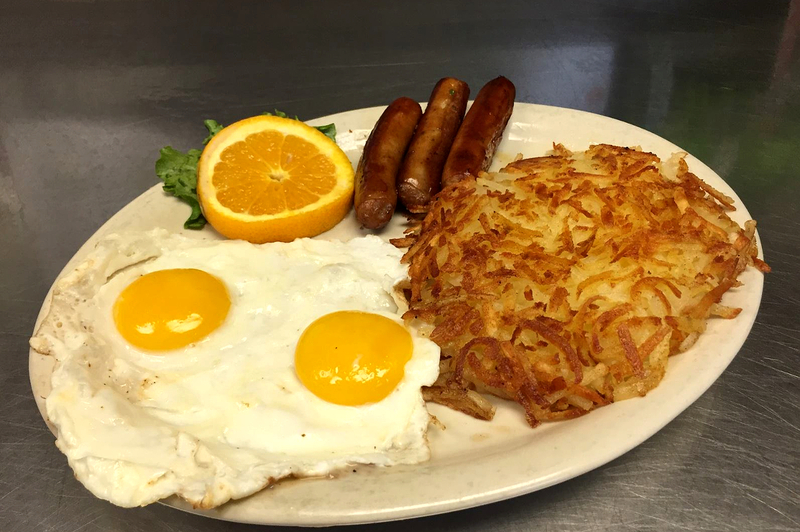 Two eggs, toast, hashbrowns or seasoned battered potato bites, and your choice of apple wood smoked bacon, sausage or ham. Cheddar cheese omlet, toast, and your choice of hashbrowns or seasoned battered potato bites. 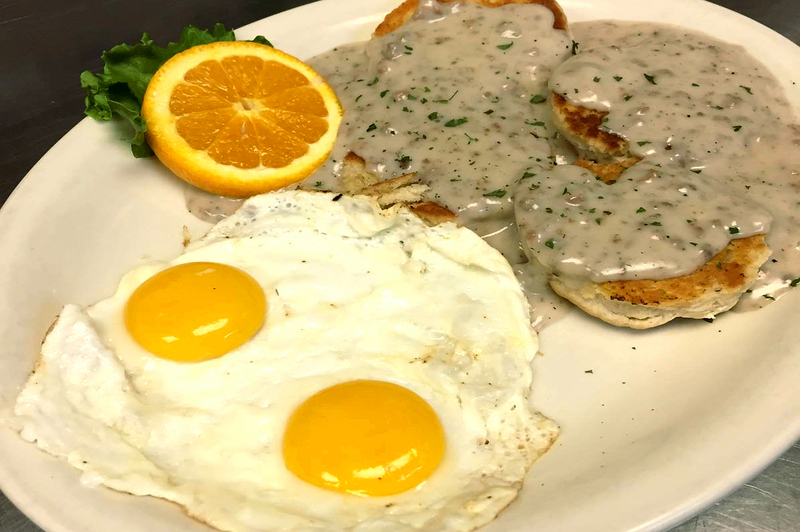 Biscuits and gravy with two eggs. 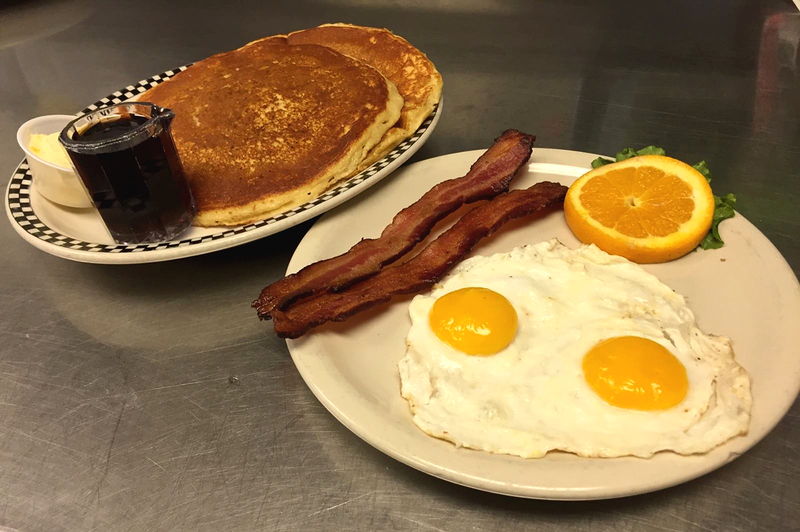 Two pancakes, two eggs, and your choice of apple wood smoked bacon, sausage or ham.